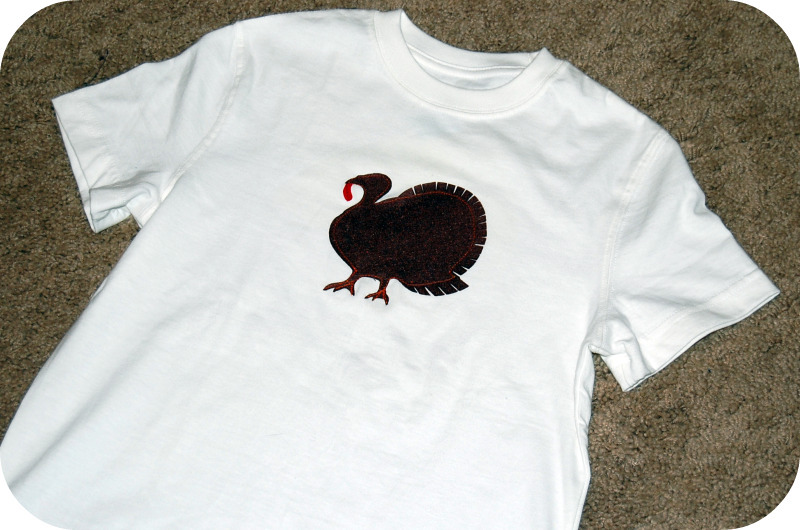 3 days before Thanksgiving, i decided to make the kids shirts. i was going for traditional turkeys in the fall color schemes, BUT after looking through all my scraps decided to just use what i have instead of buying more. After scavenging the kids’ closets i found two white tees. For my son’s shirt i used some scrap felt and orange thread. 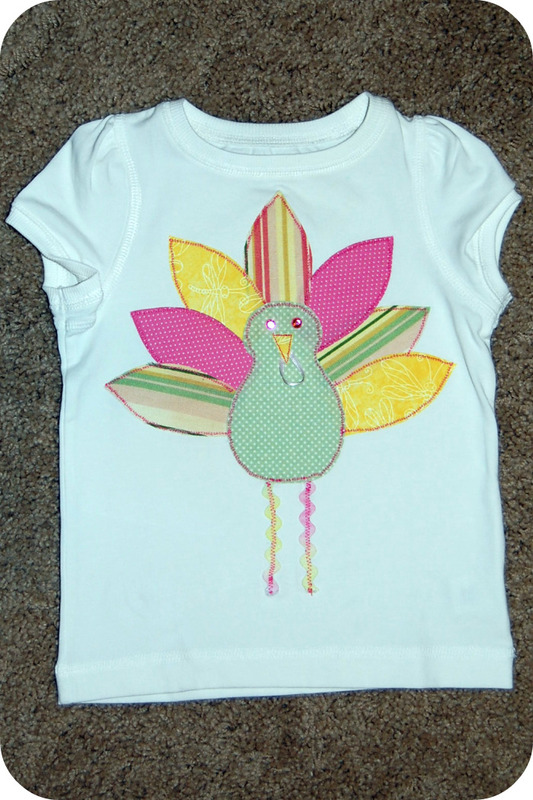 For my daughter’s shirt i cut pieces out of all the scraps that fill my cabinet, sewing around the edges with a hot pink. The eyes are rhinestone beads, ric rac legs, and a ribbon wattle. Both shirts done in 2 hours, probably would have been faster, but i was multitasking- laundry, TV, emails. i know i can’t focus. Can’t wait to see the kids in them!